Put a modern spin on a classic look with comfort in the SKECHER Street Alba - Street Hype shoe. 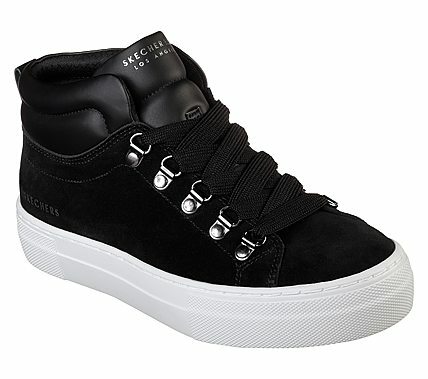 Soft suede and smooth synthetic upper in a lace up classic fashion high top sneaker with stitching accents. Rise Fit Tech midsole, vulcanized midsole.